We’re happy to announce that our Business Partnership/Affiliate Program is again OPEN! As we have communicated with you a few weeks ago, we’ve temporarily closed our Affiliate Program due to some errant affiliates who were direct linking and using our domain name in Google advertising (and other paid ads). We have ‘weeded out’ these affiliates and are now back in full swing and in full support of any business partner who wishes to promote DriverFinder and profit from its success. As long as you promote DriverFinder via valid and acceptable marketing means, you have our full support! You can promote DriverFinder via Clickbank, Plimus and Revenuewire. Just sign up for an account with any of these networks and we’ll be in touch! If you have any questions, do not hesitate to contact us: partners[at]driverfinderpro[dot]com. As you browse online daily, you’re probably swamped with various offers to download this and that software program. As such, we understand that you might be weary each time you see a Download Now button. We just wanted to give you a heads-up that due to some errant affiliates direct linking to the domain DriverFinderPro.com, we are temporarily closing our Affiliate Program. Please note that direct linking and using our domain name in Google advertising (and other paid ads) is in violation of our Affiliate Terms. We do apologize for any inconvenience this may cause you. And pls. do not hesitate to contact us if you’re promoting DriverFinder using valid and acceptable marketing means. We will of course, reinstate your account in this case. 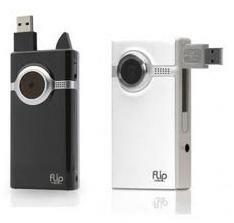 Get a Flip UltraHD Video Camera this March! What is the month of MARCH known for? Spring, St. Patrick’s Day, March Madness… but here at DriverFinder we want to make March 2011 the month you get a FREE Flip UltraHD Video Camera (8 GB)! If you’re already a DriverFinder affiliate, you are AUTOMATICALLY eligible for this special Flip UltraHD Video Camera bonus. If you’re not a DriverFinder business partner yet… just click any of the links below and become an affiliate in minutes.